Some people care about ratings and subjective viewpoints, and that’s fine–for them. But when you seek wine information wrapped inside a compelling story, whether it is about place, people, or certain wines, the kind of writer that fits the bill is someone who has lived the professional writing life as well as the professional wine life. That’s me, Thomas Pellechia (pel-e’-kee-ah). I’ve been offering professional wine and writing skills to editors at magazines, newspapers, book publishing companies, and online for several years. Scroll down for information concerning published works. My aim is to put together a story to which both the most highly trained wine professional and the unknowing consumer can relate. That’s because I’ve been not only a writer for most of my adult life, I’ve also been a grape grower, winemaker and winery owner, wine distribution salesman, and wine retail shop owner. In addition, my interest in cooking, marries with my interest in wine, resulting in books about wine and food, articles on the subject, and design of a wine and food sensory seminar. I am based in western New York state, in the Finger Lakes. The photographs used in the website [all ©Creativelink] were taken in and from Finger Lakes wine grape vineyards. When I started my winery in 1985, I also set out on a wine writing career. My aim was not to rate wine but to explore its many facets, then report what I found out. I wanted to inform readers rather than intrude my taste into their lives. Writing about wine also means writing about food, and so I added that subject to my writing. My articles have appeared in national and local magazines and newspapers, and I have published six books. I write to reach the consumer as well as the wine professional. To the consumer, I’ve written weekly and a bi-monthly wine columns in two separate newspapers in the Finger Lakes region, for consumer-oriented national and international magazines and for trade periodicals. The stories have covered a wide spectrum of areas connected to wine from how rootstock development takes place in cool grape growing regions to how to deal with a recalcitrant restaurant sommelier when you know there is something wrong with the wine; from how regional wine styles are captured by winemakers to how to pair red wine with seafood, and all subjects in between. Since 2016 I have been a regular contributor at forbes.com. I am available for freelance writing assignments. and Billee Gray also tells the poignant tale of two young people in love but forced apart by the circumstances of war. Charles was a soldier-journalist for the U.S. Army’s Stars and Stripes newspaper; he reported on the war from London, Normandy, Paris, Reims, Belgium, and Germany. As the sole reporter allowed direct access to Eisenhower’s staff during the last months of the war, he was the only reporter to witness the German high command’s negotiation of its unconditional surrender on May 7, 1945. 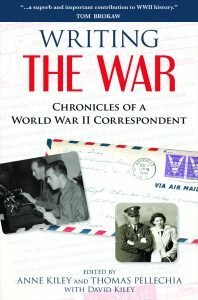 Derived from over 800 letters the couple exchanged between 1942 and 1945, peppered with fascinating details about soldiers’ and civilians’ lives, and including Stars and Stripes articles and personal photographs of the era, Writing the War is both important history and a tribute to two remarkable people as well as their extraordinary generation. How a small family company in the Finger Lakes became one of the most important wine producers in the United States, only to be taken down by corporate greed and mismanagement. 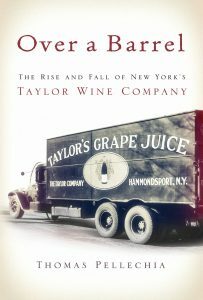 Drawing on archival research as well as interviews with many of the principal players, Thomas Pellechia skillfully traces the economic dynamism of the Finger Lakes wine region, the passion and ingenuity of the Taylor family, and the shortsighted corporate takeover scenario that took down a once-proud American family company. In addition to providing important lessons for business innovators, Over a Barrel is a cautionary tale for a wine region that is repeating its formative history. 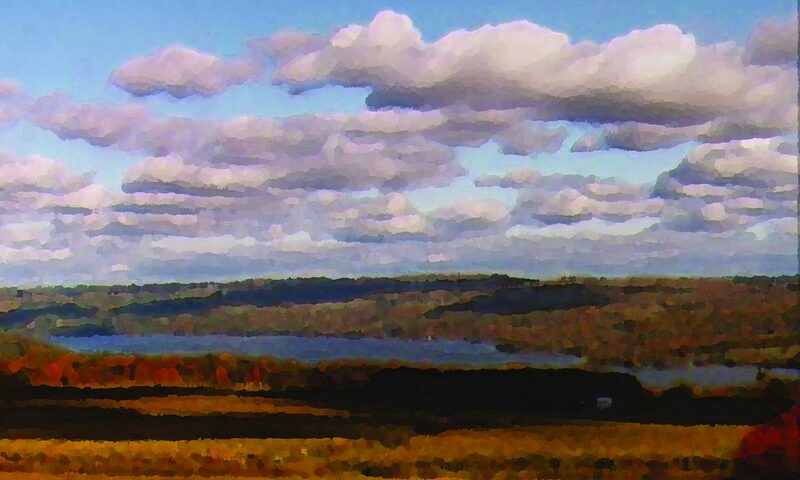 This book chronicles the beauty and bounty of the Finger Lakes region, including its historical inhabitants, its natural bounty, and the modern incarnation of those attributes as it pertains to local food and wine. The story is told through the wisdom of the people who have been and still are in the Finger Lakes region, from Reverend William Bostwick, who planted the first grape crop in Hammondsport in 1829, to Dr. Konstantin Frank, who revolutionized the wine industry in New York State by successfully growing vinifera grapes in the Finger Lakes, spearheading a significant American wine region. 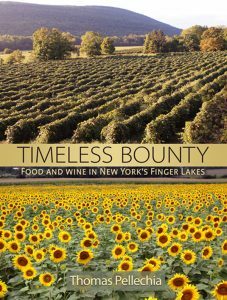 With color photographs featuring the people, food and wines of the Finger Lakes, Timeless Bounty will appeal to anyone who lives in or visits this culinary paradise. Don’t let your dream get crushed! 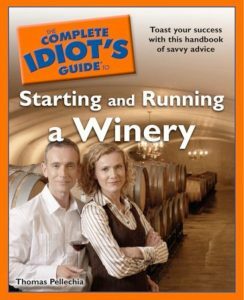 The Complete Idiot’s Guide to Starting and Running a Winery helps you plan, build and nurture your business into a working winery that suits your style. 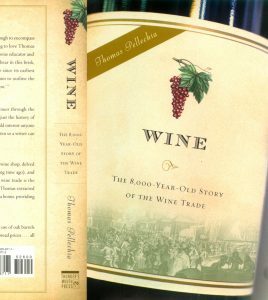 Shows how the historically powerful wine trade has been a catalyst in many important developments throughout the ages, such as sea mercantilism, early glass blowing, cooperage and cork production, trade fairs and festivals, advertising and promotion, the survival of civilization during the so-called Dark Ages, war financing, placating or pacifying troops, tranquilizing marauders, politics, literature and more. This is a book about wine from a commercial perspective, beginning with its believed known origins and ending with a glimpse into the future of the modern wine world. The book includes many side facts and quotes pertinent to the story, plus an extensive bibliography. With historical facts and quotes, personal memoir, and both ancient and modern quick and easy recipes, Garlic, Wine and Olive Oil: Historical Anecdotes and Recipes describes how reverence for these three foods developed and what keeps it going, from the land of Ur to the contemporary kitchen. Known in some circles as “the holy trinity of food” this book covers the origins, cultivation, healthful attributes, and culinary preparations of garlic, olive oil, and wine that have been integrated into international cuisines from the Old World to the New. The book also includes many quotes and a cross-reference list of suggested pairings of meals with wines, plus a helpful bibliography.